Sources: 6, 15, 29, 30, 76. According to the Minnesota DNR, “there is no evidence of a viable breeding population in Minnesota.” The map at left shows confirmed sightings. This species was formerly named Felis concolor, placed in the genus with the domestic cat In 1993 its name was changed to Puma concolor, placing it in the genus with jaguarundi, a mammal only slightly larger than the domestic cat. Until recently, 32 subspecies were recognized. In 2000, mitochondrial DNA analysis showed that most of those are too similar to deserve subspecies recognition. 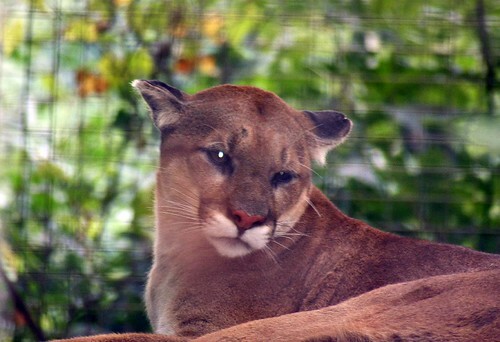 There are currently only six subspecies recognized, only one, eastern cougar (Puma concolor couguar), occurs in North America north of Latin America. The U.S. Fish & Wildlife Service (USFWS) concluded in 2011 that the eastern cougar (Puma concolor couguar) has been extinct since the 1930s. Subsequent sightings in the eastern United States, according to USFWS, represent individuals that escaped or were released from captivity, individuals of a western subspecies that have wandered east, misidentification of smaller cat species, and deception or self-deception (ala “bigfoot” sightings). The North American cougar (Puma concolor couguar), is the cougar subspecies once commonly found in eastern North America and still prevalent in the western half of the continent.As well as several previous subspecies of cougar of the western United States and western Canada, Puma concolor couguar encompasses the remaining populations of the eastern cougar, where the cat was also known as the panther, the only unequivocally known of which is the critically endangered Florida panther population. 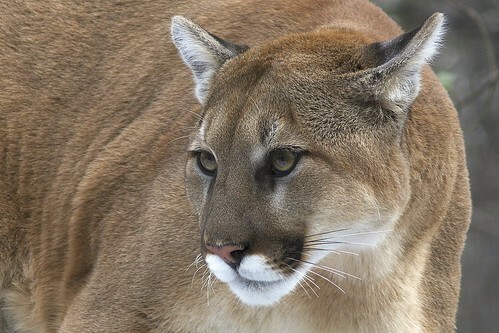 Many extinct populations, such as the Wisconsin cougar, which was extirpated in 1925, are also included in the subspecies. Mountain Lion (Puma concolor couguar) being trapped. Wildlife photographer Steve Winter combines patience and groundbreaking technology to photograph North America's elusive and nocturnal big cat. The National Geographic Live! series brings thought-provoking presentations by today's leading explorers, scientists, photographers, and performing artists right to your YouTube feed. Each presentation is filmed in front of a live audience at National Geographic headquarters in Washington, D.C. New clips air every Monday. 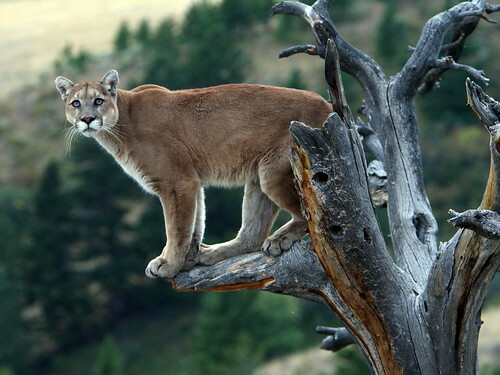 The eastern cougar has been declared extinct, according to a report issued this past week by the U.S. Fish and Wildlife Service. I was carrying bear spray. To use this video in a commercial player or in broadcasts, please email licensing@storyful.com Please like, comment and share. Thanks a lot!